You can raise more money for your group/organization selling a product everyone loves – Little Caesars® Pizza Kits! 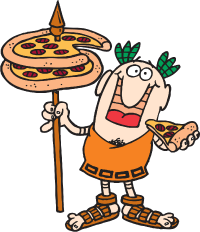 Little Caesars is a trusted brand and pizza is one of the most popular foods in the world. Plus, your group/organization will have fun selling Pizza Kits! You earn $6.00 for each item sold! You’ll be amazed at how quickly your profits add up! Organize and manage your fundraiser online from start to finish! Your sellers and supporters can purchase Pizza Kits directly from our website! You’ll also find easy-to-use templates for announcement letters, reminder messages, thank you notes, and more! Our team is ready to personally answer your questions. Call us today at 1-888-452-5487 or visit us online 24 hours a day at PizzaKit.ca. Find out how fun, easy and profitable a Pizza Kit Fundraiser is at Getting Started. You can also review, download and print our information packet today or simply complete our request for information form and we'll mail a packet to you.